I am a serial ASOS shopper – I pay for Premium so I can get next day delivery and I get far too invested in how many A-List points I have. I used to place an order pretty much weekly and I spend almost all my free time just scrolling the app adding things to my wishlist that I’ll probable never buy. I just love how they have so many brands in the one place, it makes things much easier for me to waste time online shopping. So I’ve gone through ASOS and compiled a list of clothes and accessories that I love to share with you – hopefully you’ll see some of these pieces through Autumn but for now, it’s very much a wishlist. 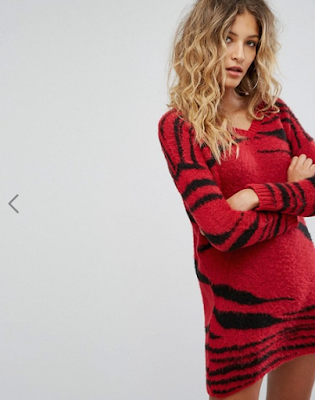 Nice dresses are a must-have for me, I’ve literally just ordered 3 jumper dresses and these 2 are next on my list. I love the print on the Missguided Contrast Stripe Knitted Dress (£28) cos it looks like a tiger or something, and I really dig that. It’s also knitted, so it has to be warm. It just has to. I’ve been really loving midi dresses and skirts recently, I’m trying to figure out how to style them in a way that suits me, and I saw this Boohoo High Neck Floral Midi Dress (£22) on one of Kate Murnane’s videos and just fell in love with the print. I’m in love with yellow at the minute, so I need this. 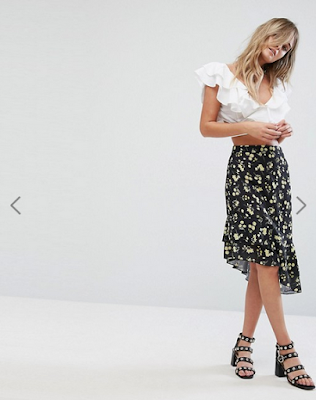 Oh look, another midi skirt. And more yellow. I feel like this Missguided Asymetric Hem Floral Midi Skirt (£25) could look pretty good with some boots and maybe a jumper of some sort, but then sometimes I look at it and I’m like…that would NOT suit me. I do love the print a LOT though. 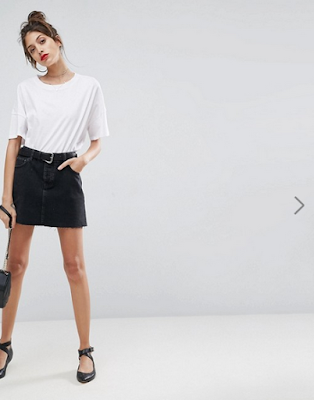 I don’t actually own any denim skirts even though they came back into fashion a while ago, and this ASOS Denim Mini Skirt (£25) would look so perfect with a knitted jumper tucked in, tights and some gorgeous boots. Autumn is THE time for cosy jumpers; I have way too many already but I just keep adding more and more into my wishlist. 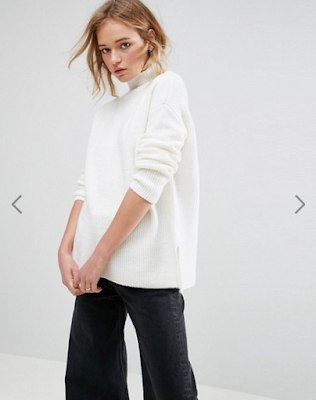 The first is just an ASOS Chunky Jumper in Fluffy Yarn (£30) which just looks like the cosiest thing in the world, and I don’t actually own any cosy white jumpers, which desperately needs to be changed. 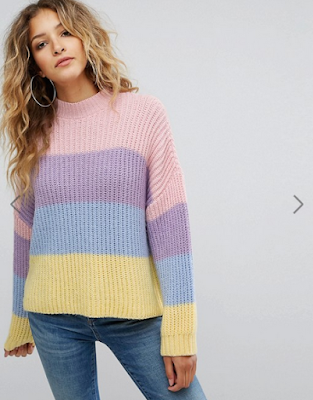 I was really drawn to this Missguided Stripe Brushed Knitted Jumper (£25) because of how 90s it looks, it really reminds me of the Rugrats and I think everybody needs a jumper that reflects their favourite childhood TV show. I own a ridiculously low amount of cosy cardigans, it’s literally all jumpers. The Daisy Street Boyfriend Cardigan (£19.99) is one to just chuck on every day to keep you warm, no matter what you’re wearing. Grey goes with everything, pretty much. 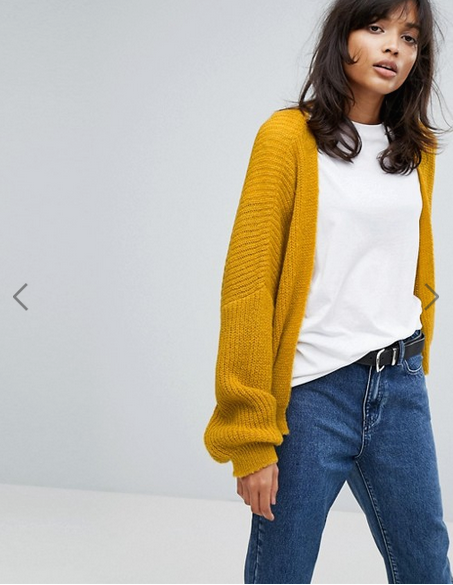 On the other hand, the ASOS Chunky Cardigan (£32) is very bright, very yellow, which is the colour I’m obsessed with this season so this is a must-have for me. I tend to wear a lot of black so a cardigan like this is perfect to keep my wardrobe colourful. 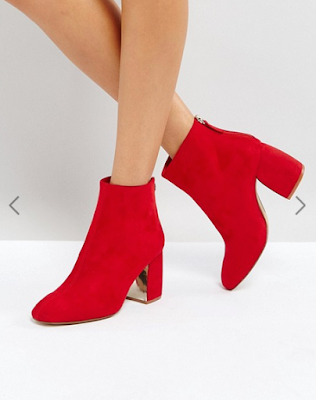 How beautiful are these Stradivarius Block Heel Ankle Boots (£28.99)?! My first port of call for boots is always the Black filter, because black boots go with everything so it just makes sense to buy black ones. But I have visions of these red boots and I think I’ve dreamt about them every night for the past few weeks. 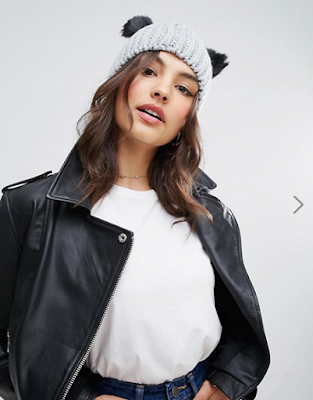 It’s not quite cold enough for hats yet, but as soon as it is I am buying this ASOS Cat Ears Beanie (£10) because it’s too cute. I’m not a huge fan of the pom pom beanie trend, I’ve tried but I don’t think they suit me, so I feel like the cat ears are a nice mid point between a plain beanie and a massive pom pom. So there’s my picks for Autumn! It seems like it’s always when I don’t have money that I find everything I like, so I timed this very well and did it during a time when I’m dirt poor. Hurry up payday so I can order more jumpers that I don’t need. 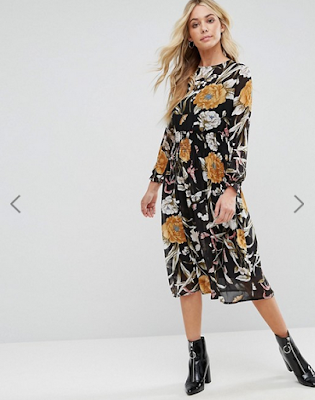 What are your ASOS Autumn picks?